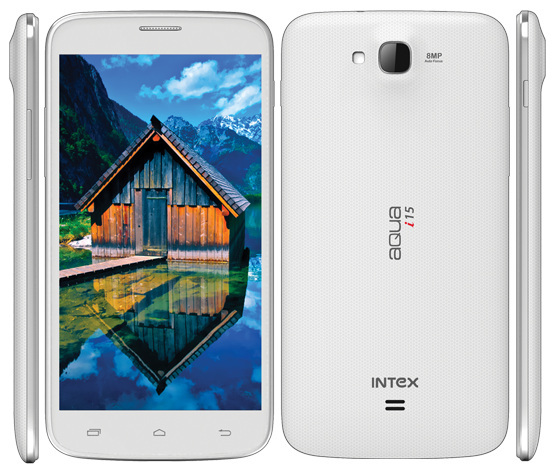 Intex Aqua i15 is priced at RS 9999 in India. The Intex Aqua i-15 comes with some top specifications and features. The i 15 will compete with Recently launched Videocon A29 and karbonn Titanium S1 Plus. It is a Dual SIM phone and runs on Android v4.2.2 OS. It gains the strength from 1.3Ghz quad core processor paired with 512GB of RAM. It has S sensor, Accelerometer, Light sensor and supports Video calling. It houses the massive 2400 mAh battery, seems to OK for 6 inch Smartphone. The Intex i15 has 6 inch IPS display having qHD resolution. The internal storage is 4GB out of which 1.7GB is assigned for user, you can also expand the storage up to 32GB via SD card. It packs with 8-megapixel primary camera and a 2MP secondary camera. Overall the handset look impressive, the limited 512MB of RAM might make you despondent.